Recorded during July 1985 at Cherokee Studios, Hollywood, CA. 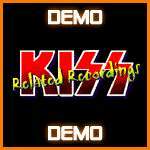 These are instrumental studio demos for the "Seventh Star'album, but do not confuse these with the Jeff Fenholt auditions. These are completely different tracks which arrangements are also slightly different than what appears on the album.